For those considering SJSU's graduate business programs, the school offers the unique opportunity to schedule a pre-qualification interview, which allows prospective students to discuss their eligibility for the MBA program with admissions officials. In all cases, students must have an undergraduate degree with a GPA of at least 2.5 to be considere...For those considering SJSU's graduate business programs, the school offers the unique opportunity to schedule a pre-qualification interview, which allows prospective students to discuss their eligibility for the MBA program with admissions officials. In all cases, students must have an undergraduate degree with a GPA of at least 2.5 to be considered for the program. Competitive candidates will have a GPA of 3.3 or better and GMAT scores of 550 or above. The business school at San Jose State University is propitiously located “right in the mid­dle of Silicon Valley, with access to all [the] big-shot companies, and their executives.” In addition, “the majority of students in the program come from great high-tech compa­nies,” which makes networking as easy as attending class. The Career Center at SJSU helps the undergraduate and graduate student community make connections in the local job market through recruiting events and job fairs. While most SJSU grads score great post-grad positions, some full-time students would like to see Career Services provide “better help finding jobs after graduation,” through the addition of new events like “job fairs specifically designed for MBA students.” Many students in the part-time program receive tuition assistance from their current companies and therefore aren’t looking for new jobs after graduation. Currently, you’ll find recent SJSU business school graduates working at diverse companies like Charles Schwab, City Bank, Apple, Applied Materials, Chevron Corporation, Cisco Systems, Ebay, E*TRADE, HSBC Group Holdings, IBM, Lockheed Martin, Intel Corporation, Hewlett-Packard, Sprint, Nortel, Genentech, Microsoft, Pepsico, Google, Starbucks Coffee, NASA, Texas Instruments, and Xerox. Located in the heart of Silicon Valley, SJSU is California's oldest institution of public higher education. The SJSU College of Business, with almost 6,000 undergraduate and graduate students, is one of the largest business schools in the country. In 2006, SJSU alumni Donald & Sally Lucas donated $10 million for business graduate programs at SJSU. The donation exemplifies SJSU's strong linkages to both alumni and the community. The donation will allow further exploration of critical business issues, help the university hire and retain the best faculty, and develop both innovative courses and an executive education program. SJSU's Lucas Graduate School of Business is accredited by the prestigious AACSB (Association to Advance Collegiate Schools of Business) International. It offers an accessible, high-value education that empowers people of all ages and backgrounds to transform their lives. Pursuing a business graduate degree is an investment in the future. For the competitive edge, consider San Jose State University's Lucas Graduate School of Business — where serious academic accreditation, innovative programs, and an exceptional faculty give you the education needed to be successful in today's global business environment. Located smack dab in the middle of the Silicon Valley, San Jose State University’s busi­ness programs benefit from the energy and innovation of their famous surroundings. “No place on earth is more entrepreneurial or technology-centric” than SJSU, where the MBA programs boast an “innovative syllabus,” a “global mindset,” and a top-notch fac­ulty from the region’s prominent industries. For MBA candidates, SJSU offers several program options: the traditional two-year MBA program on the main SJSU campus, the MBA One (a full-time, cohort-based program that can be completed in just a year), and the Executive-Style MBA, a “flexible program for working students,” offering year-round classes on the weekends and in the evenings. With accommodating teachers and a flexible schedule, the Executive-Style MBA “is an ideal program for anyone who wants an MBA, but needs to keep working full-time while getting it.” A current student attests, “When I needed to be out of town for work the week of a final, the professor was very willing to reschedule the test for me so it wouldn’t interfere with my business trip.”Delivered by a team of “world-class teachers” and an “accommodating” administration, the “academic experience is positive, effective, and worthwhile” at San Jose State. Academically, the program balances “a good mix of lectures, case studies, and assign­ment[s].” On that note, you’ll get a blend of theory and practice in the classroom, as “pro­fessors are very knowledgeable and have experience in both academics and industry.” “Teachers here are experienced in Silicon Valley trends and do their best to incorporate them into class work.” Coursework is interactive, and “discussions in class are lively, [and] periodically include [the] latest news and trends.” Friendly as well as experienced, “Professors are very easily approachable and always try to correlate classroom learning with real-world problems as closely as possible.”“Value” is another important factor in many students’ decisions to attend SJSU. A state school, SJSU has a much lower price tag than other local programs, giving prospective MBA candidates an “affordable option at a respected school,” without leaving the Bay Area. Unfortunately, like many public schools, budget cuts have affected San Jose State and there has been “an increase in tuition” in response. Within the business school, the “administration is struggling with budget issues beyond [its] control,” and course avail­ability isn’t always what it should be. “The courses aren’t offered often enough, there is usually a wait list, so it’s a lottery to see if you will even get into the classes you need.” Despite limitations, “the administration has been wonderful and very responsive to all concerns,” and students say the program runs efficiently. In a traditional university environment, this program appeals to both full-time students (a two-year MBA program) and working individuals who attend school part-time and need evening classes. Students can complete the MBA in the evening in as few as 18 months, taking courses that meet in 8-week modules. For students who need to tailor the MBA to their lifestyle (work, travel, and family), this is the most flexible MBA program. An intense 12-month lock-step program which provides valuable networking opportunities and lifelong business connections. Classes meet three afternoons per week off-campus. A 32-month double-degree program for engineering professionals who wish to pursue technical and executive management positions. Courses are offered off-campus in 8-week modules. An intense daytime 12-month lock-step program for individuals with non-accounting baccalaureate degrees. Starts in early June, and requires both on-campus courses and a professional, paid 10-week internship. A flexible evening degree program designed for tax professionals. Classes are offered in 10-week modules off-campus to accommodate both full-time and part-time students. a 28-month program that meets the educational needs of working transportation professionals through evening "distance learning" technology. To provide gay, lesbian, bisexual, transgender, and allies an opportunity to come together in a supportive environment and discuss issues and concerns. To bring awareness to the SJSU community and educate through events. The purpose(s) of this organization is to unite, educate, and enrich students of color on SJSU campus and within the community about our sacred prestigious history and culture. To serve as an umbrella organization which works with all African ( black) students and organizations. To coordinate and facilitate the planning of events and activities that empowers and uplifts our culture and the African (black) students of SJSU. ​Promote a diverse and open environment to continuously develop students into leaders by providing resources and guidance. We establish a foundation for a smooth transition to advance from SJSU onto the professional world. The mission of the Women's Resource Center is to support women and feminist students at San JosÃ© State University. Through dynamic programming and educational outreach the Women's Resource Center seeks to improve the campus climate for female or feminist-identified students and advocate for the respect and safety of all members of the campus community. In collaboration with other campus programs the Women's Resource Center works to meet the needs of students to promote the successful completion of their educational goals. Want more info about San Jose State University College of Business Full Time MBA? Get free advice from education experts and Noodle community members. What are the benefits of pursuing my MBA in San Jose? 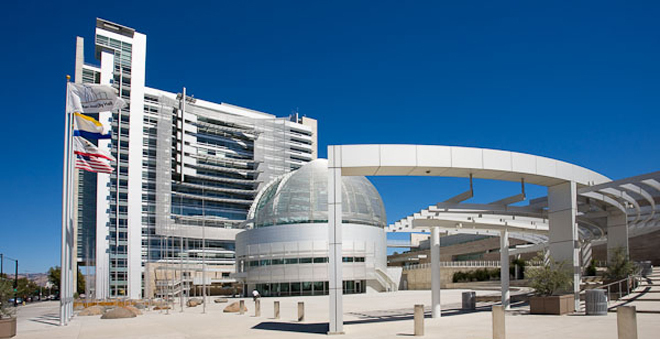 San Jose is a rapidly growing city, the third-largest in California and the tenth-largest in the United States. Between its size, location and flourishing economy, San Jose has plenty to offer part-time MBA students and graduates.